A couple of days ago I had a chance to chat with a gentleman from London. 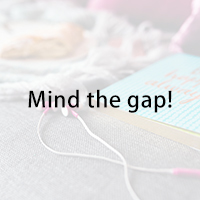 And somehow we came to talk about “mind the gap”, which is one of London’s most famous tube announcements advising passengers to beware of the gap between the train and the platform. The verb “mind” in this instance means to “be careful of” or “pay attention to”. The verb “mind” also means to be annoyed or worried by something, and often used in questions for making requests or getting permission, as in “Would you mind if I use your phone?” Answering this question can be tricky. If you agree to let me use your phone, then your answer should be “NO” rather than “YES” because you do NOT mind if use your phone. Get it? Well, I’ll continue to discuss how to deal with “would you mind” questions on our website. So please come visit on Thursday. In the meantime, why don’t you try a quiz? You’ll be given three options. Please listen carefully and choose the one that is TRUE. Ready? 1. be careful of the gap. 2. remind me of the gap. Next Post 電話借りてもいい？ – Do you mind if I use your phone?